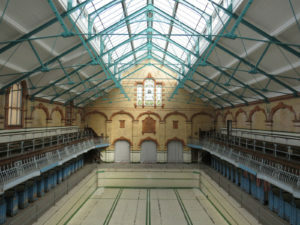 Historic Pools of Britain has launched its first website, which brings together its members to present a picture of some of the UK’s most historically important, community focused and architecturally exciting swimming pools. 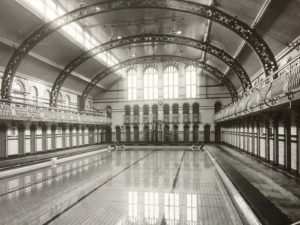 The organisation was established in 2015 to give representation to historic indoor and outdoor pools; these include listed pools, one that features on the World Monument Fund list and many that have faced a struggle for survival. Historic Pools of Britain gives them a shared voice and the opportunity to showcase their stories with twenty-three member pools from as far afield as the beautiful Victorian Western Baths Club in Glasgow to the Art Deco splendor of Saltdean Lido in Brighton. 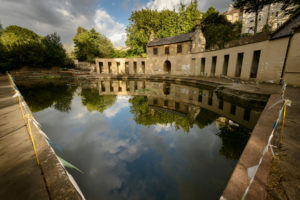 With a significant number of aquatic gems already lost, Historic Pools of Britain aims to ensure that those which remain are given the opportunity to flourish. Members are at different stages of operation, from those that are open and fully functioning to those that have active fundraising campaigns behind them. The ultimate goal is to restore each pool to its former glory, allowing them to be enjoyed by generations to come.